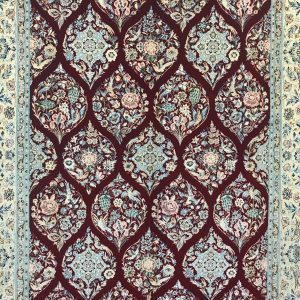 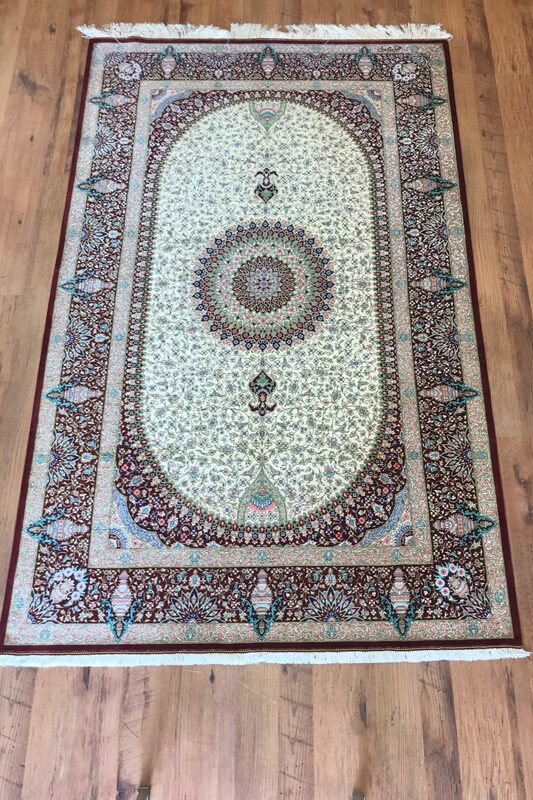 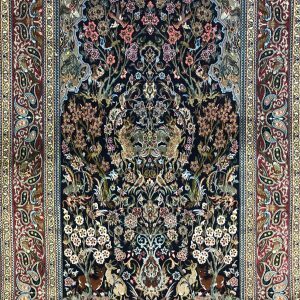 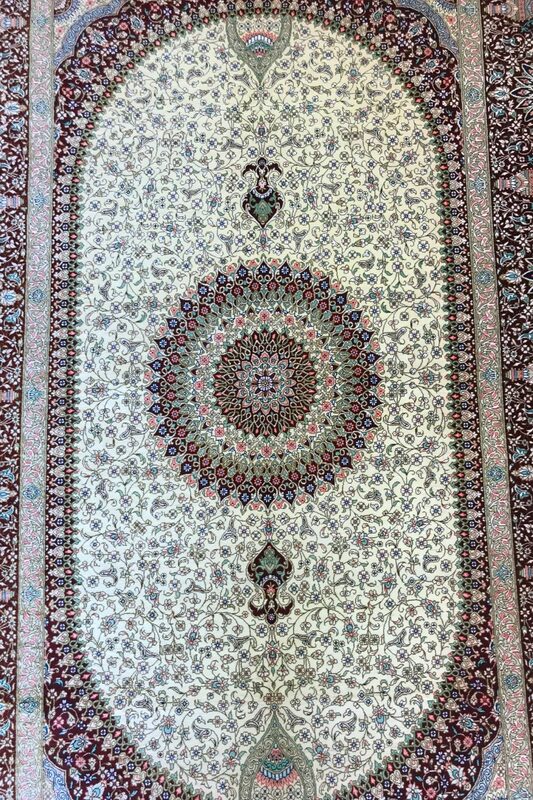 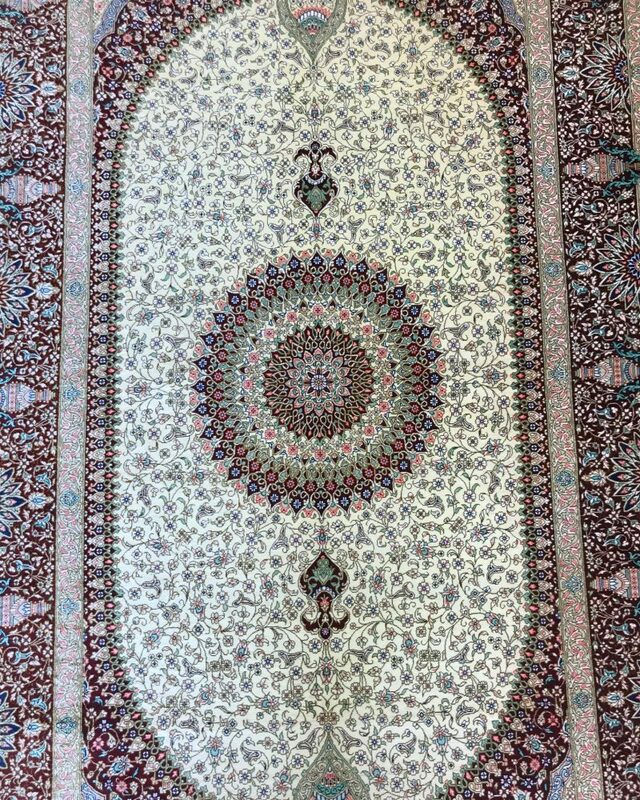 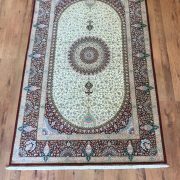 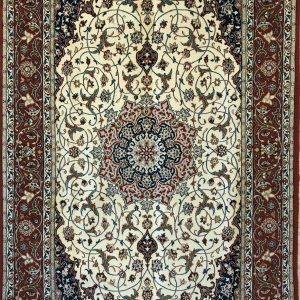 100% silk Persian Qum. 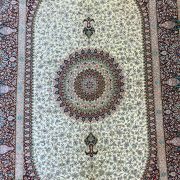 Silk pile on a silk base. 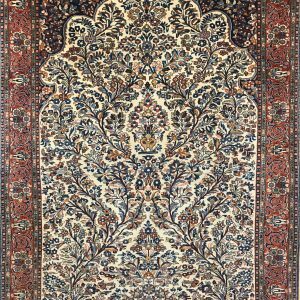 Signed by the master weaver.